A student on the Bar Professional Training Course (BPTC) has won The City Law School's inaugural Senior Moot. Darryl Hutcheon (pictured, left) was awarded the title of Senior Moot Champion 2014 and a prize of £1000. 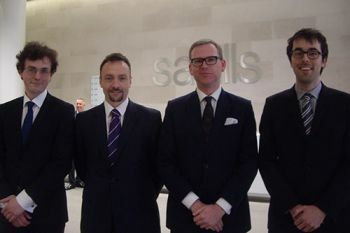 The competition was sponsored by property experts Savills with the final held at their headquarters in London on Friday 9th May. 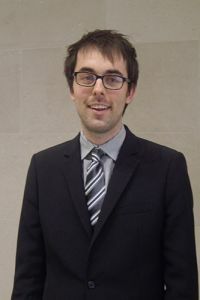 Graduate Diploma in Law (GDL) student Zachary Kell was selected as the runner-up and awarded £500. Fellow GDL student Martin Horne and BPTC candidate Andrew Lomas were each awarded a prize of £250 for reaching the final. "Mooting is an ancient art by which lawyers over the centuries have trained themselves and each other by arguing theoretical cases just as though they were real cases. The problems always focus on the most challenging and uncertain areas of our law. Hence the saying: 'It is a moot point.' It is enthusiastically pursued across the legal world of the common law, and increasingly in Europe. Mooting is an international phenomenon that binds together lawyers in common training, and in India even has its own league like football does here". In the final, each student had to take the role of counsel, either for the appellant or for the respondent, in this imaginary appeal to the Court of Appeal. The case concerned an imaginary lottery and the failure of one of the parties to purchase what, with the benefit of hindsight, would have been the winning ticket. 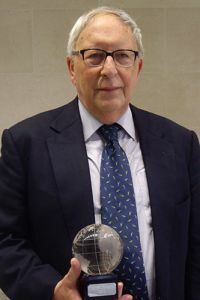 "A balance has to be struck between explaining the case in a neutral way and getting your ideas into the judge's head - that is a delicate balance to be struck". The Senior Moot was open to almost 800 postgraduate lawyers within The City Law School, spanning four professional and graduate programmes; the BPTC, LPC, GDL and GE LLB. The original 64 places were snapped up within an hour of being made available. "It was fascinating listening to the four finalists argue their points with all four candidates delivering very strong arguments. We were pleased to be able to support what I believe will now become an annual fixture."